There were a total of 37 members of the cheerleading team, VORTEX from the Nippon Sports Science University. They participated through the local university cheerleading team. 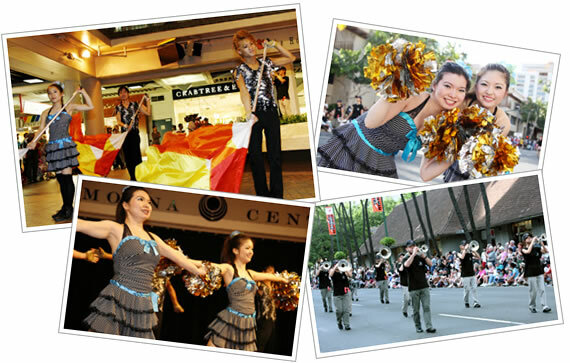 VORTEX is one of the famous teams which won many national cheerleading competitions in Japan. Also, the members will be performing in the Grand Parade which they specifically prepared for it since parading is different than performing on stage, where it requires to walk on the streets of Kalakaua Avenue. In addition, they had an opportunity to exchange with the students from the University of Hawaii and Hawaii Pacific University after the Honolulu Festival on March 16. The reactions from the audience were terrific. We also received a lot of energy from them. This is my first time to visit Hawaii. It is difficult to smile during our hard practice however, we are trying our best to always maintain our energetic smiles. I felt that the reactions from the audience were terrific in Hawaii, which we also received a lot of energy from them. I live in Hawaii. 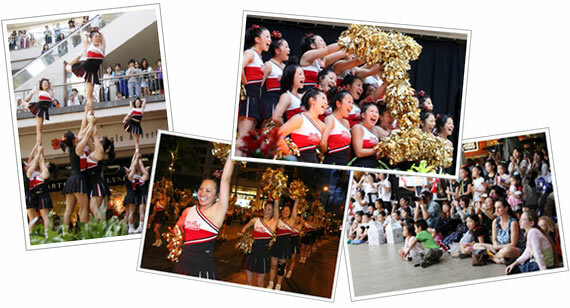 Previously, I’ve had a chance to exchange with the members of VORTEX with few of my teammates through cheerleading. I came to support them which I also made a banner. Unlike the U.S., Japan has less male cheerleaders. I would like for the males to be more active in the cheerleading world. I get very energized every time I watch the performance by VORTEX. I had a little headache but as soon as I watched them perform, my pain went away. Please support them! Kosuzume is one of the club activities in Miyagi University which contribute to the local communities through performing the Japanese traditional dance called the “Suzume-Odori”. 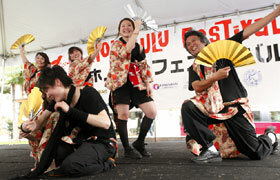 There are over 100 members and 11 of them were chosen to perform at the Honolulu Festival. Also, it was the first time to perform overseas which the members of Kosuzume made a new song and choreography by themselves. Furthermore, Kosuzume is a talented group that won twice in the most authoritative competition of the Suzume Odori called “Dokuganryū Masamune”. 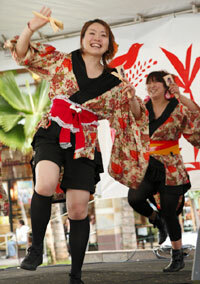 The members were very excited to show their traditional dance of Miyagi Prefecture to people from around the world. It was our first time to perform overseas, but I was able to relax and enjoy from the bottom of my heart. It was our first time to perform overseas, but I was able to relax and enjoy from the bottom of my heart. All of our members performed their best so I think our performance scored 100%. Thank you very much for all you support. I think it is a truly wonderful thing that young people are inheriting the tradition of their own culture. I’m from New Jersey. I’ve seen various Japanese traditional arts but I watched the Suzume-Odori for the first time which I really liked their unique shouts and movements. 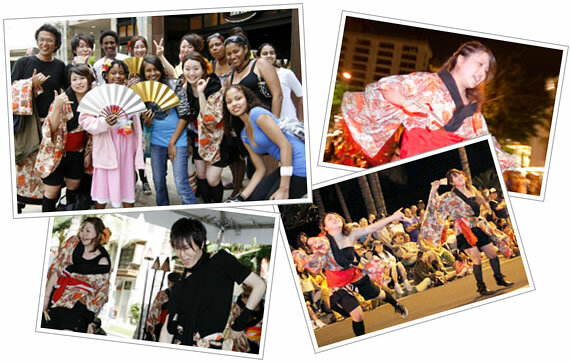 I think it is a truly wonderful thing that young people are inheriting the tradition of their own culture. Please continue to do your best. Ritsumeikan University dig up treasure participated for the second time this year which entertained the audience with their Double Dutch performance. Double Dutch is a performance that shows various techniques inside the two spinning jump ropes. Furthermore, the members of Ritsumeikan University dig up treasure partcipated in the Kansai regional tournaments as well as the national tournaments in Japan. Also, they are performing around the world to spread Double Dutch. If I were to score our performance, I would give a score of 50 out of 100 because we kind of made a lot of mistakes. Despite of it, our spirit was 100%. We enjoyed Hawaii so much. We are glad that we were able to please our audience. The audience in Hawaii are so upbeat! They should be more active around the world! The members of Ritsumeikan University dig up treasure were so wonderful! They should be more active around the world. 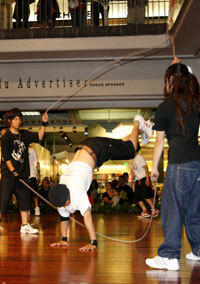 I never experienced Double Dutch but it looks difficult. Also, they were young, energetic and lively which made us audience feel happy with their skillful performance. I enjoyed it very much. Team Hosei is a group from Hosei University consisted of students and one of their teachers. They are experienced yosakoi dancers that annually participate in the festival called “Harajuku Omotesando Genki-sai Festival Super Yosakoi” which is held once every summer in Japan. Furthermore, the uniqueness about Team Hosei is that they have originality. Also, the members are lively and effortful. All of their songs, choreographies and costumes are original. After the performance, the members took pictures with the tourists and interacted with people from various countries without having a language barrier. My movement tends to be unbalanced since I make mistakes during our dance but please support us to the end! We decided to participate in the Honolulu Festival through a person that I met in the “Harajuku Omotesando Genki-sai Festival Super Yosakoi”. Also, I’m not an adviser but one of the dancing members of our group. The members of Team Hosei are the students from my Development Sociology seminar. Originally, we started for the social development of our school’s campus. It’s been 6 years since we first initiated. 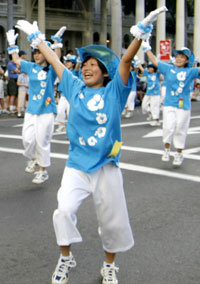 Also, we began practicing for the Honolulu Festival about one month ago. My movement tends to be unbalanced during our performance since I make mistakes but please support us to the end. I had so much fun performing. 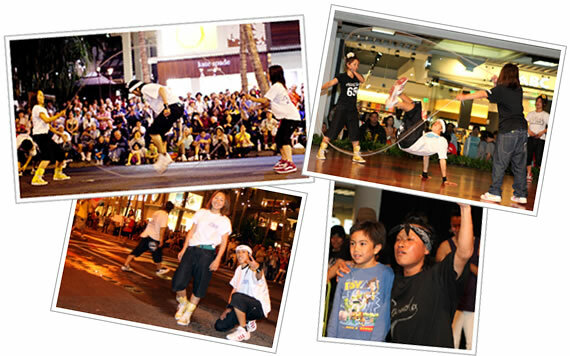 Most of our members were first time to visit and perform in Hawaii. We focused on practicing in a short period of time. I had so much fun performing. I thought Hawaii is absolutely a wonderful place where the people and climate are warm. Once again the marching band of Tokyo Jitsugyo High School, Phoenix Regiment participated this year. This high school has a rich history which is located in Ota, Tokyo Nishi-Kamata. The members of Phoenix Regiment is proud of their friendliness among teammates. The group was established 31 years ago. Also, they appeared in the Japan Marching Band Baton Twirling Contest for 23 times which they won the Grand Prix and received the Gold Award for 18 times. Before the performance, the members calmly said “We will enjoy and perform our best.” Also, the alumni will be joining the group in which they practiced and prepared for their best performance in a short period of time. I think our performance was flawless with a score of 100. I enjoyed performing very much. I think our performance was flawless with a score of 100. All of our audience was upbeat which we were able to dance gracefully to the end. I saved up my money for this wonderful opportunity to visit Hawaii. We made a few mistakes during our performance but we were able to enjoy dancing. I saved up my money for this wonderful opportunity to visit Hawaii. I’m a bit tired from the performance but I would like to go enjoy shopping. Their style was different compared to the marching band in the U.S. which was energetic and charming. I watched the performances about an hour and the marching band Phoenix Regiment was especially interesting to watch. Their style was different compared to the marching band in the U.S. which was energetic and charming. 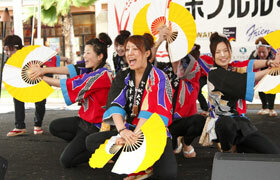 The students of Sonoda Gakuen High School participated for the fourth time in the Honolulu Festival this year. A total of 179 students came to Hawaii which has the greatest number of members. Sonoda Gakuen High School is in Amagasaki City, Hyogo Prefecture which has a rich history. This year marks the 70th anniversary of the founding of the school. 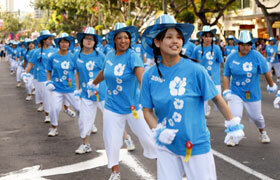 When the members appeared on the Kalakaua Avenue during the Grand Parade, the streets were covered in sky blue. They were vigorous and filled with smiles. Moreover, they practiced for about a year from April of last year. There was an incident where the song stopped playing during the performance. However, the members of Sonoda Gakuen High School continued smiling which their audience cheered them.They participated as part of their school trip. They also climbed up Diamond Head and enjoyed shopping in Waikiki as well as at the Ala Moana Center. 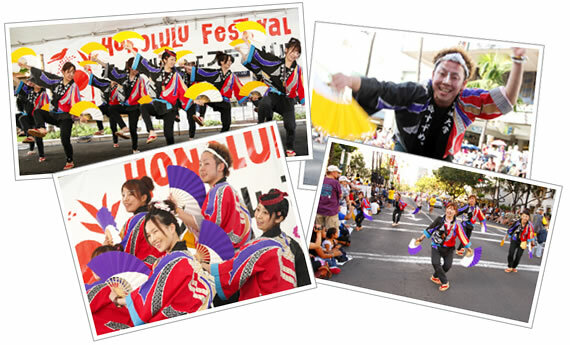 by participating in the Honolulu Festival?